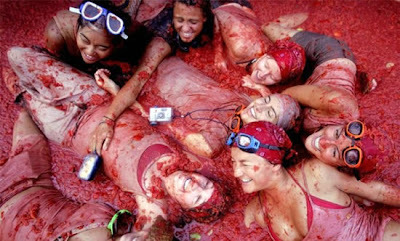 If you’re one of those people that loved starting food fights in the school cafeteria, you’re going to love La Tomatina festival. 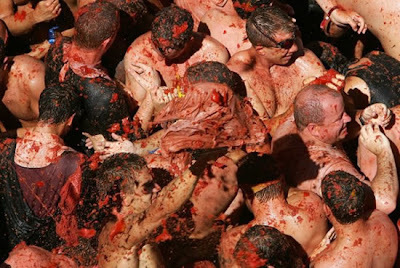 every year, on the last Wednesday of August, thousands of people gather on the streets of Bunol, Spain and throw over one hundred metric tons of tomatoes at each-other. 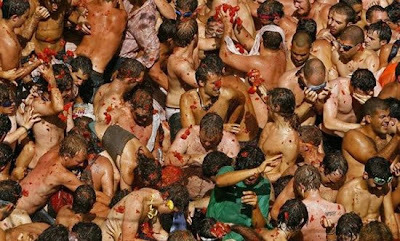 Tradition says the tomato fight of La Tomatina is supposed to begin when someone manages to climb up a two-story high greased wooden pole and grab a piece of ham, but since that takes forever the battle starts all of a sudden. 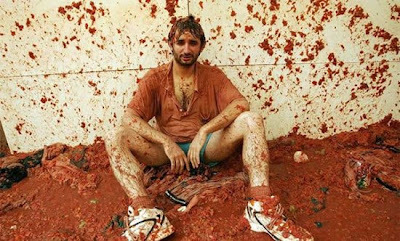 During La Tomatina people just come at you and tear the shirt right off you, even if you’re a woman so don’t act all surprised or scared. 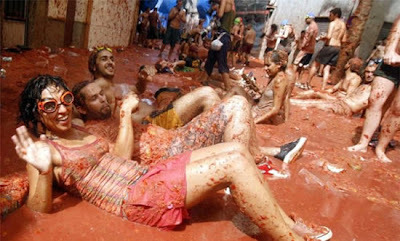 The whole tomato battle lasts for an hour aftewhich everyone goes to Bunol River to wash up. 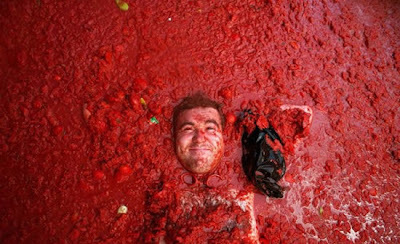 If any stragglers are still on the streets after the fight, the locals are more than happy to hose them down. 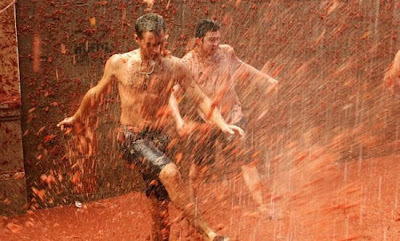 La Tomatina helps keep the towns streets clean through the acid properties of the tomatoes. 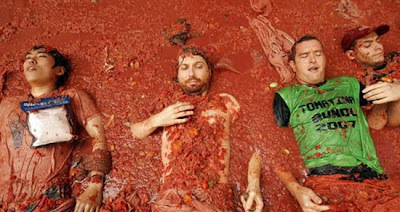 yeah, the used tomato then canned and shipped to 3rd world country such as africa and arab.